WE ARE HAVING A NO TAX EVENT SALE FOR 3 DAYS TO KICK OFF OUR BIRTHDAY CELEBRATION. 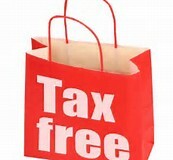 TODAY UNTIL WEDNESDAY NO TAX ON ALL IN STOCK PARTS AND ACCESSORIES. DON’ T MISS OUT ON THE SAVINGS, CALL TODAY OR DROP BY THE SHOWROOM AND SEE WHAT WE HAVE THAT YOU CAN’T LIVE WITHOUT. SALES ENDS 4PM ON APRIL 10TH. By Pamela Moroney|2019-04-08T18:17:57+00:00April 8th, 2019|Uncategorized|Comments Off on NO TAX EVENT!